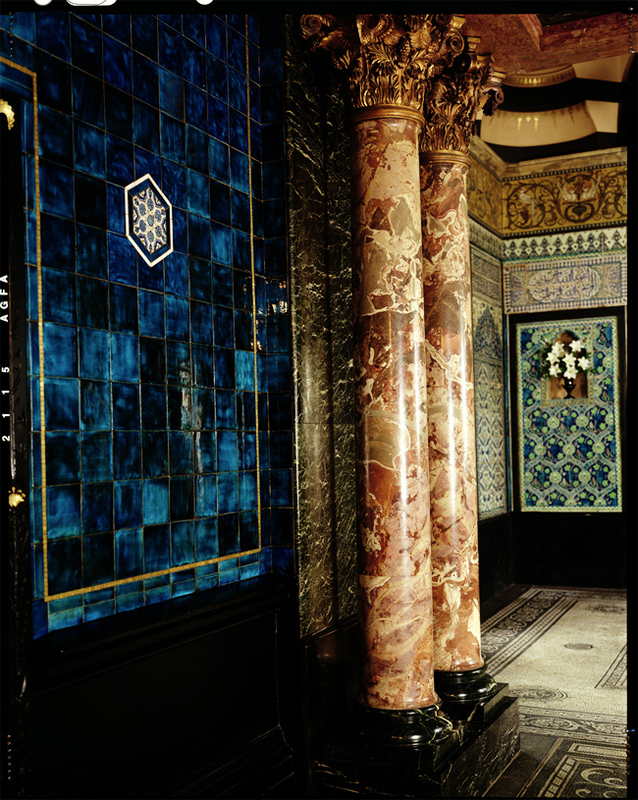 I have never experienced anything like walking into Leighton House for the first time; trying to describe it is going to be near impossible. 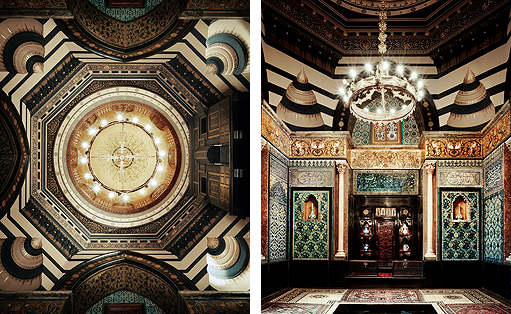 I was visiting Leighton House as research for my undergraduate dissertation, Leighton's Aesthetic Realm. 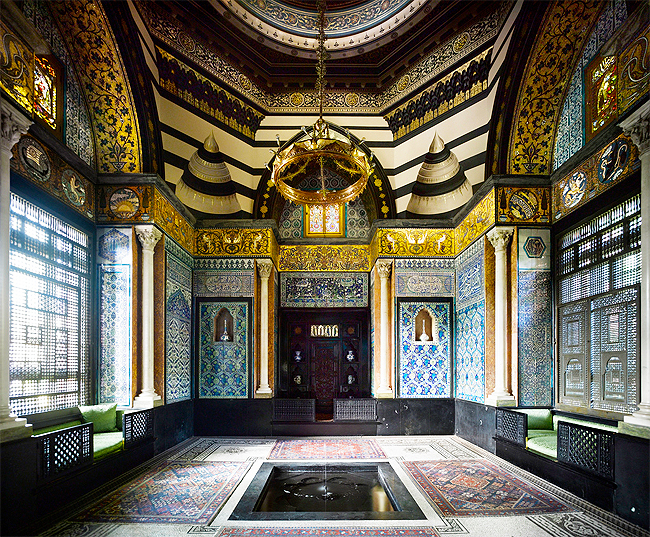 It discussed art as a Victorian escapist idealism through the concept of wholeness, and for me, it seemed obvious that Leighton House was the best possible representation of that theory. I'm almost certain that the "wholeness" itself was partly responsible for the intense emotional reaction I had to being in that space. 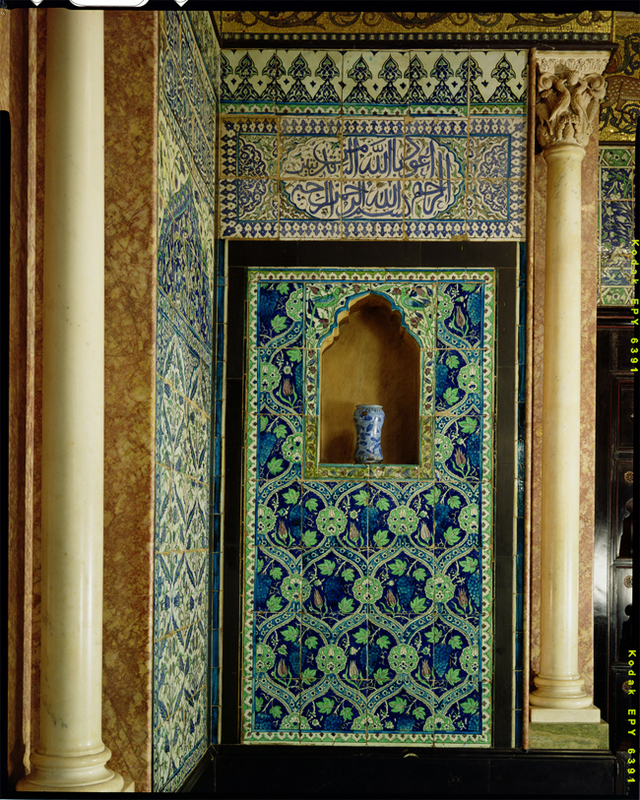 You enter Leighton House through a polite enough entrance with a coat rack & a nice lady behind a desk taking admission fees. There's a glimpse of Leighton's personal office to invite you in, but the main entrance takes you in to the entrance hall. A beautiful staircase draws your eyes upwards to a large stuffed peacock sitting watchfully over the guests. Other rooms are tantalisingly framed by their dark wooden surrounds; each painting their own picture with a distinctly different colour palette. Choosing where to go is difficult, until you take a glance over your shoulder and see the Arab Hall. I'd be surprised if anyone ever went to the house & didn't go there first. Unfortunately when I attended there was a no photography policy in place, so I'm sharing images from the Museum itself. I was supremely lucky that for the first twenty minutes of my visit to the house, I was the only one there. Lucky for two reasons: 1) so I could appreciate the hall in all its minute glory, & 2) no one was there to see it hit me like a ton of bricks. The room was so silent but for a small trickling fountain that sits in the middle of the space, right underneath the dome. I recalled a story from one of the Leighton letters about someone stepping into it during one of his Musics and narrowly missing a fish. I'll be honest, I had to have a sit down on the floor, take a deep breath and wipe away a tear or two. The house is much more than this one hallway, but the Arab Hall is one of the most remarkable things I've ever seen. It's a testament to Leighton's innate aesthetic understanding and abilities. It's a thousand tiny images that create one giant experience. 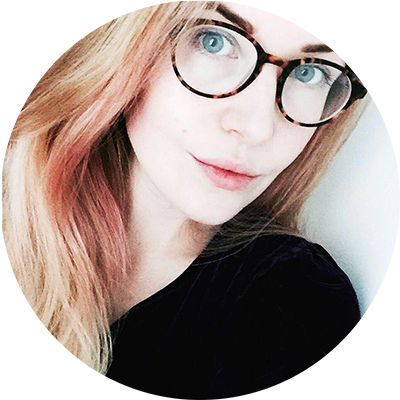 It's the creation of an aesthetic cosmology on earth. 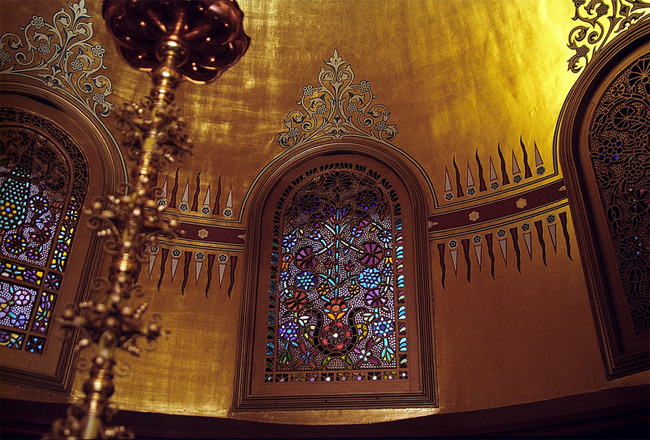 Leighton House is hidden in South Kensington, but it is really simple to find & I would say it's 100% worth taking an afternoon to visit.